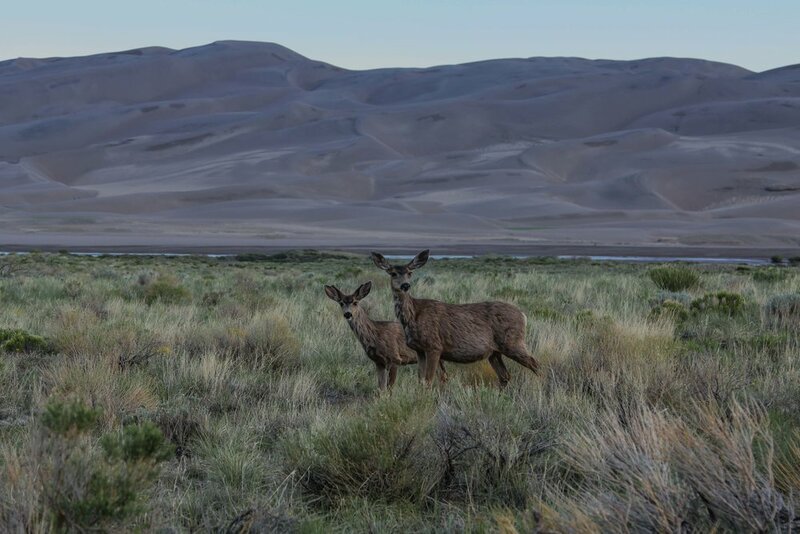 Nestled on the western side of the 14,000 ft peaks of the Sangre de Cristo Mountains lies the Great Sand Dunes National Park. 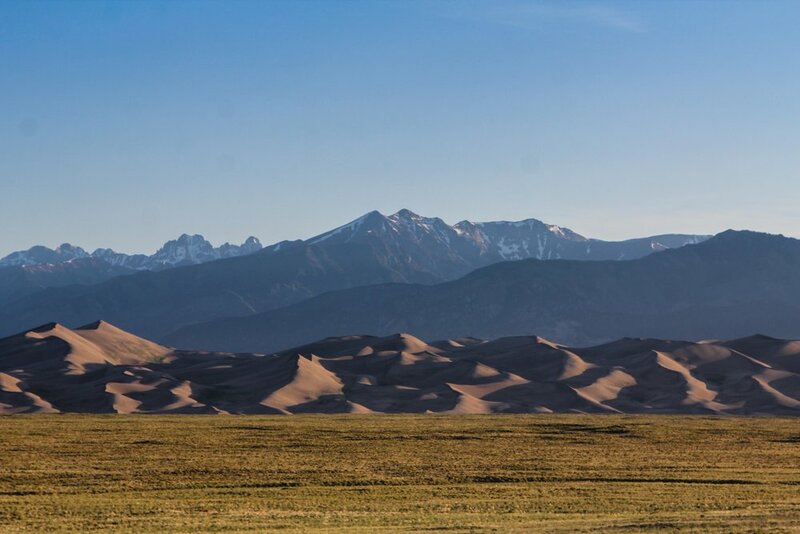 These sand dunes are the tallest sand dunes in North America, at 750 feet high. 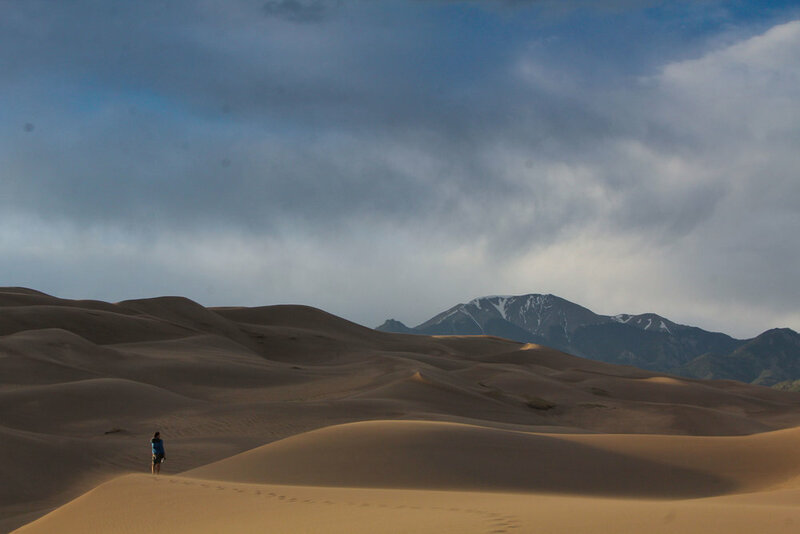 We decided to stop by the dunes on the way up to Vail for an overnight stop, on the way up HWY 285. 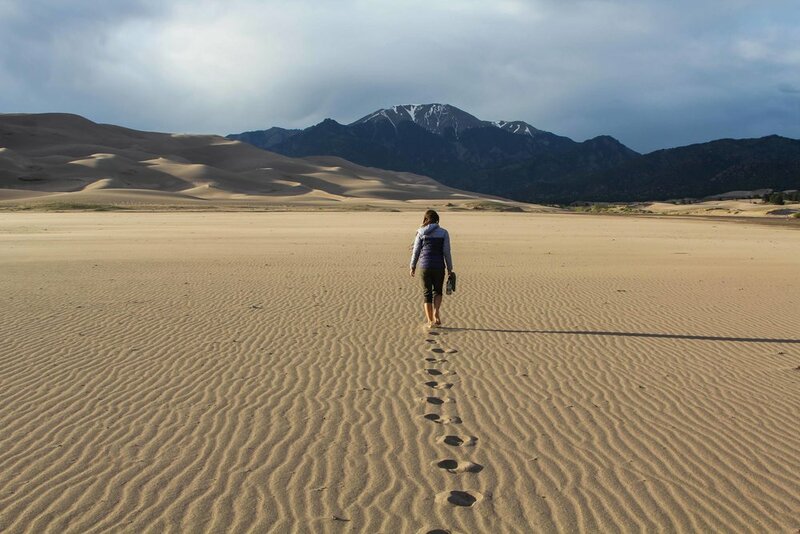 The Dunes are about an hour detour from Alamosa, off highway 285, and it is worth every minute. Upon arrival, the dunes are much more larger than I expected. We made our first stop at the first empty picnic area and prepared a quick diner before venturing off on the dunes for sunset. 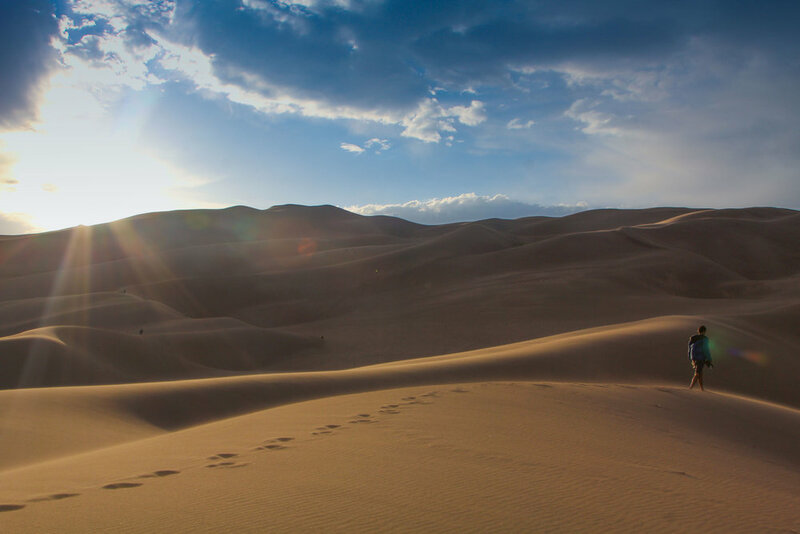 There are no hiking trails on the dunes so you can basically go wherever you want. 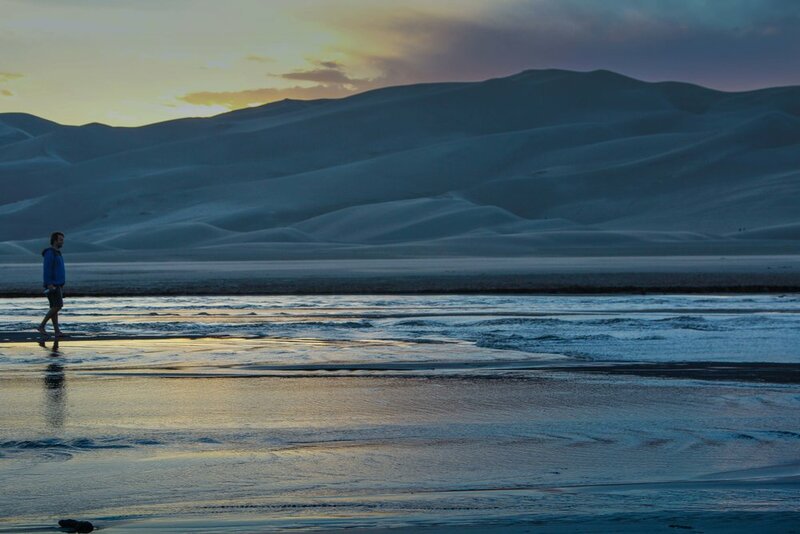 It’s an incredible place for photography. 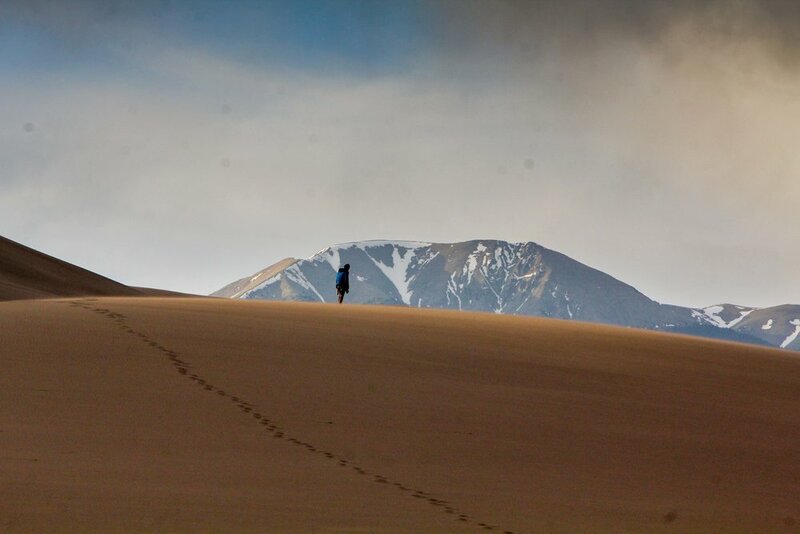 It's a very surreal place walking around in what seems like the Sahara Desert surrounded by 14,000ft peaks all around. This is a very light used national park so you won't have to worry about hoards of people everywhere. After the visit, I read that this is one of the quietest parks in the US. However the night we were there, the Pinon Flats campground was completely full. So we ended up sleeping in the car in the lower parking lot and had no trouble. We woke up for sunrise and continued the journey to Vail. 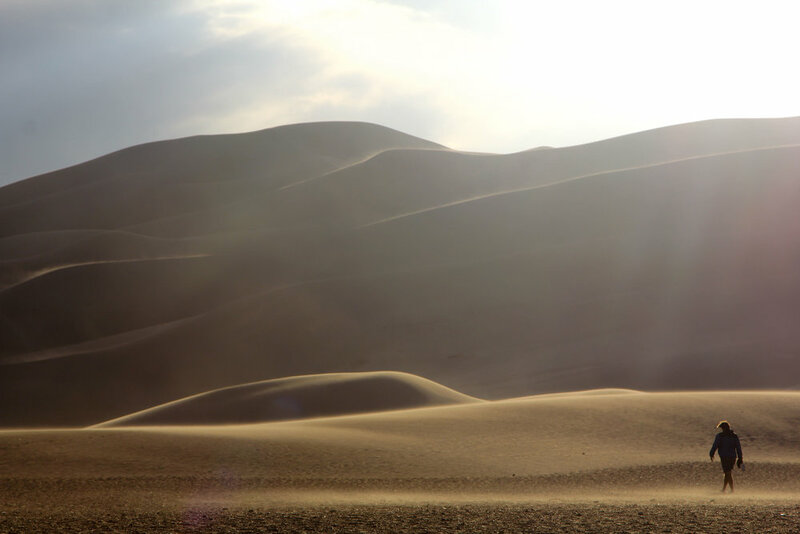 Besides hiking around and photographing, we discovered that there are also a few hike in camp sites at Buck Creek and Escape Dunes. 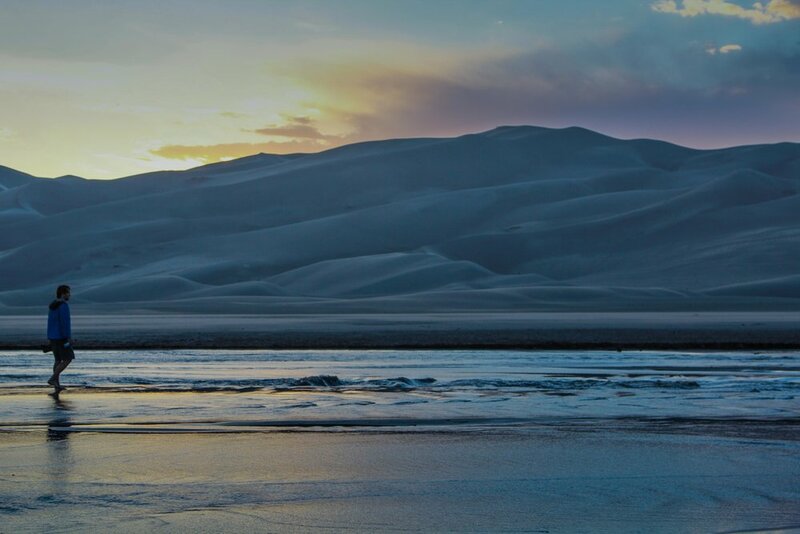 Also, you can receive overnight camping permits and camp on the dunes. There is also a 4x4 track that leads to Little Medano Campground. The GSDNP is a great place to spend multiple days at or just a few hours. It’s a great park with some incredible scenery.